New to the market and seriously for sale, JUST ENOUGH has been impeccably maintained and upgraded. Her recently installed Strataglass enclosure and custom hardtop give her a new boat appearance, and her clean and organized engine room is evidence that she has been well taken care of. Powered by reliable 435hp Detroit 6V92s with 2300 hours, she cruises comfortably at 19kts with a top speed of 23kts. She features classic lines combined with modern amenities and a proven, rugged offshore hull design. The Hatteras 43 Convertible is what many in the industry consider to be the perfect mid-size cruising yacht. 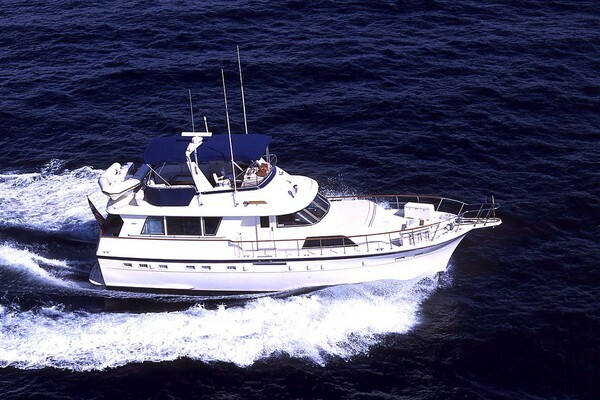 Unlike many of her sport fishing contemporaries she was also designed with family cruising in mind. Her generous 14'6" beam and 6' 4"+ headroom means not only a supremely seaworthy boat but also a very comfortable and spacious interior. Although she has the heritage of an offshore sport fisherman with outriggers and fighting chair, she has been lightly fished and used mostly as a bay cruiser. Please see the full specifications for more information and photos. She is available with the option of a slip at an upscale RI marina and promotional rates will apply to new customers. Keep in mind that there is no sales or use tax for vessels berthed in RI. She is also close to 2 international shipping terminals. Please contact the listing broker for an appointment to see her as she is not at the office location.